I had Monday off of work and needed to fill an empty spot in my new office. So I made a full french press, turned on netflix, and managed to complete this piece. 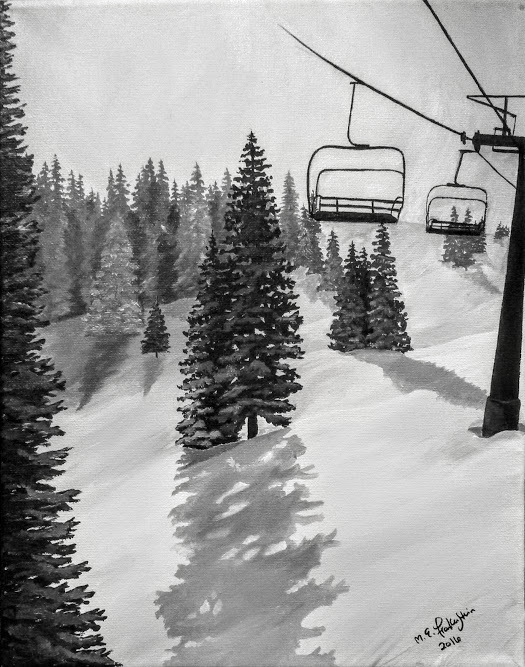 Not my best work, but it’s a good start/warmup to a ski lift collection. 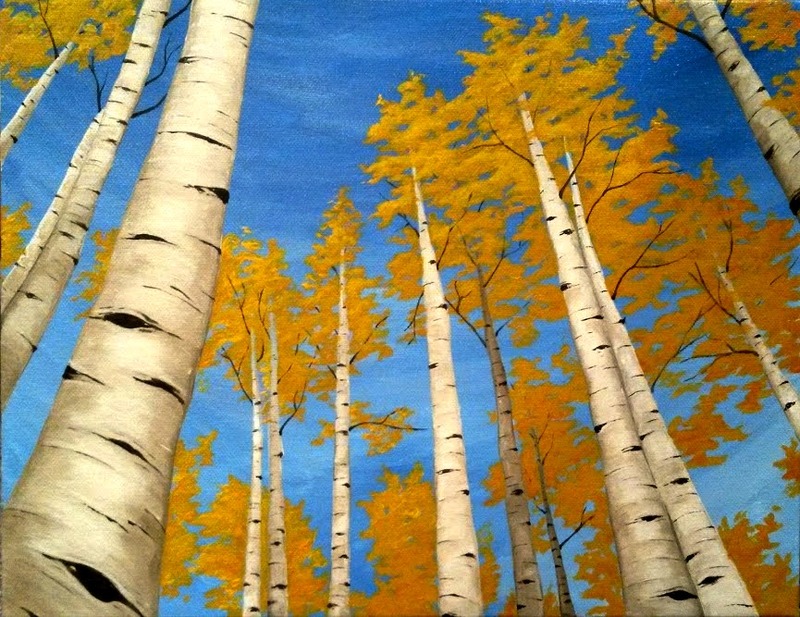 I’ve recently realized that Aspens are a lot of fun to paint. They’re a good subject to keep me preoccupied between bigger projects and they’re easy to try out new styles with. I’ve been awful at painting recently (i.e. no motivation, little inspiration, and meager free time). Luckily, my parents have a new home that has lots of empty wall space and they were visiting in September. 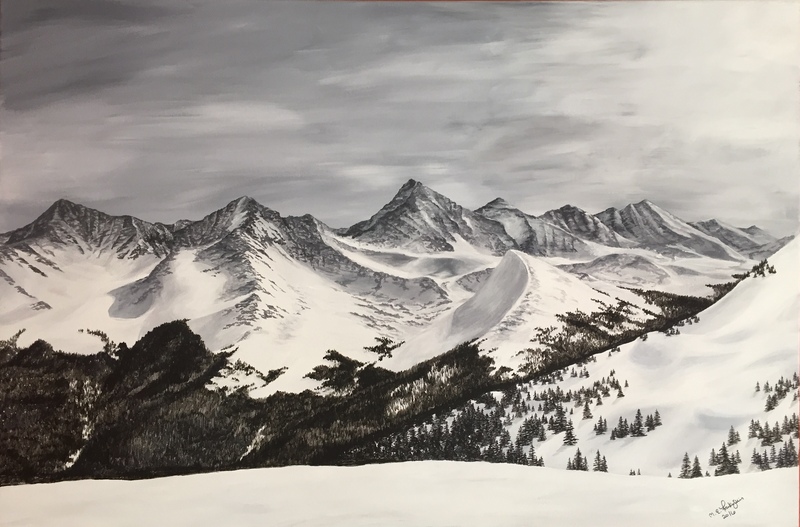 So I had someone to paint for and a timeline to work with. I was given a color scheme and I knew my mom already had pictures of trees hanging– so aspens in the fall was a natural choice. The hardest part was melding my style with something my parents would like. 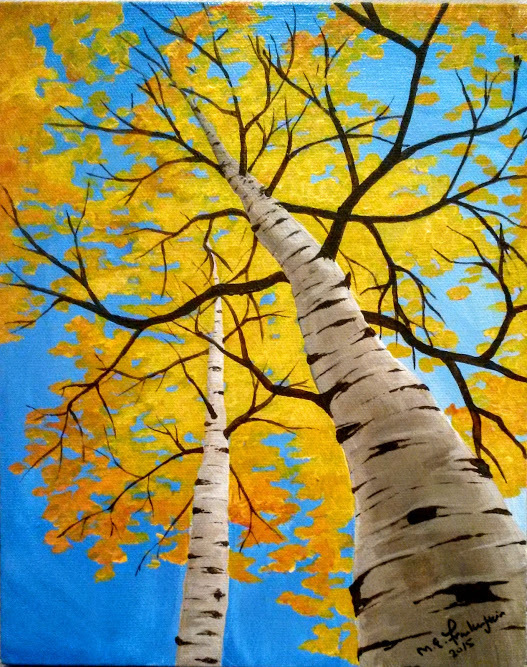 Aspens are a lot of fun to paint and this one got a fair amount of positive feedback. 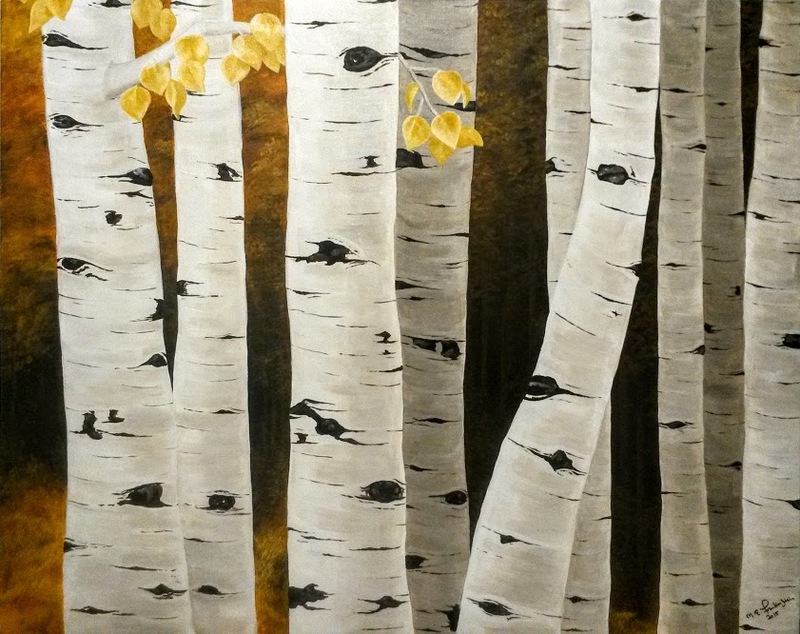 My roommate said I should do a piece like this for our place so, needless to say, I’ll be doing more paintings of aspens. 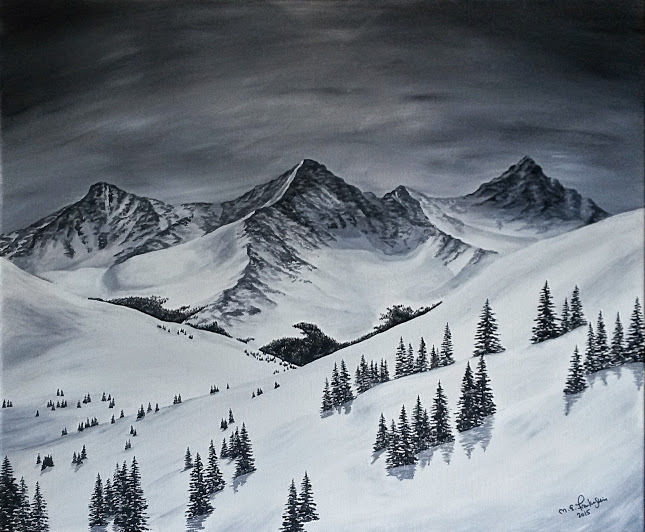 I spent a lot of time at Copper Mountain this ski season and got a lot of inspiration. 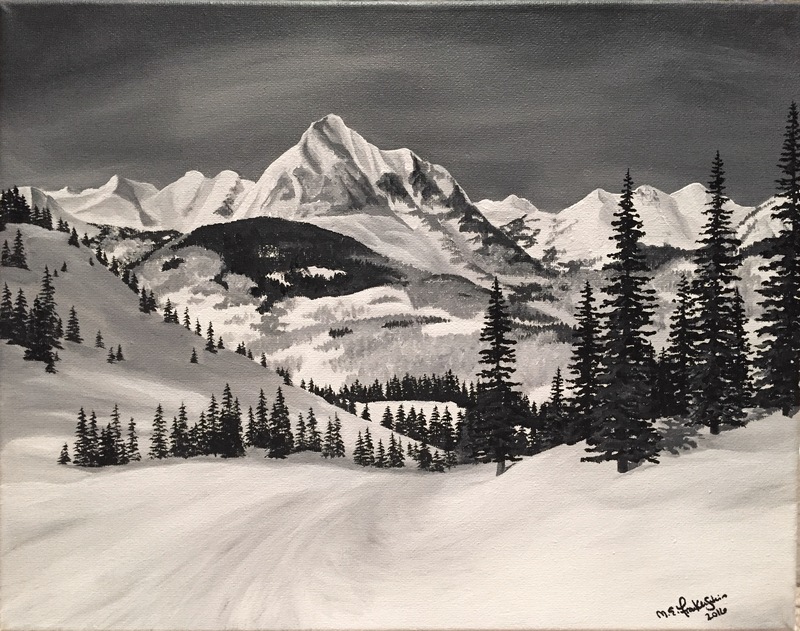 Now that the season is coming to a close I’ve had more time to recreate the views I enjoyed all winter. This past week I received a promotion and therefore had an office to decorate. I really liked how my sketch (above) turned out and thought it would be a quick and easy piece to put on canvass to cover up a really ugly wall in my office. Considering I’ve been feeling a bit rusty and I did this whole piece in one sitting, I think it turned out well enough.